Who makes the rules about whether or not you are well enough to drive? What if your condition is only temporary? How will your doctor assess whether you should be driving? 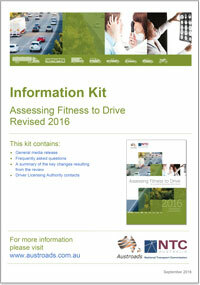 Will your doctor notify the Driver Licensing Authority if you are not well enough to drive? When do private vehicle driver standards apply? What if you have a licence to drive a commercial vehicle? You are concerned about a friend or relative and their safety on the road. How might you help them? The rules about health and driving are developed by medical experts and are agreed to by all Driver Licensing Authorities. Your doctor does not make the rules but provides advice about how your particular health condition might affect your ability to drive safely and how it might be managed. The Driver Licensing Authority always makes the final decision about your licence status and will consider the advice of your doctor as well as other factors such as your accident history and the type of vehicle you drive (for example a truck, car, or a public passenger vehicle). When assessing your ability to drive safely, your doctor will consider your physical and psychological health. 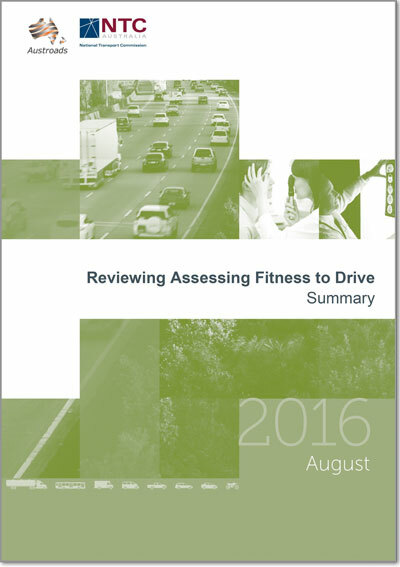 He or she will refer to a book of medical standards (Assessing Fitness to Drive) which is used by all doctors throughout Australia and which describes specific requirements for various diseases and conditions. 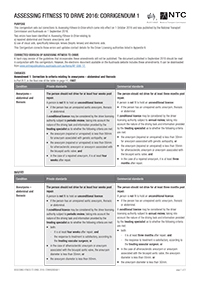 You can view these standards on this website. Sometimes it can be difficult to make an assessment and your doctor may refer you for a practical assessment. Doctors also have an obligation to public safety so your doctor may report directly to the Driver Licensing Authority if he or she feels your condition poses a significant threat to public safety. If you continue to drive despite your doctor's advice and you do not report your condition to the Driver Licensing Authority, you are not fulfilling your legal responsibility. If you are involved in a crash under these circumstances and it is found that your health condition was a contributing factor, you may be prosecuted and your insurance may not be valid. The private standards should be applied to: Drivers applying for or holding a license class C (Car), R (Motorcycle) or LR (Light Rigid) UNLESS the driver is also applying for an authority or is already authorised to use the vehicle for carrying public passengers for hire or reward or for the carriage of bulk dangerous goods or in some jurisdictions for a driver instructor's license. Professional drivers such as drivers of trucks, public passenger vehicles and vehicles carrying dangerous goods must meet higher medical standards because of the demands of their work, the extensive hours spent on the road and the serious consequences likely to result from a crash. If you have an illness that is likely to impact on your ability to drive safely it is important to tell your doctor what sort of vehicle you drive. It may be that with treatment and regular review you will be able to continue to drive on a conditional licence. A person who does not meet the health requirements to drive a commercial vehicle may still be eligible to drive a private vehicle. If you know of licence holders whose health might be affecting their ability to drive safely, it is important to get them to talk to their doctor. It may be that, with appropriate treatment or driving restrictions, they can continue to drive on a conditional licence. Their doctor may also be able to suggest alternative transport solutions. If they are unwilling to discuss this with a doctor, you should contact the Driver Licensing Authority who will deal with the matter confidentially.